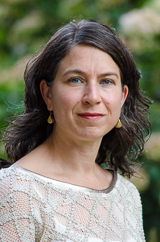 Kirsten Anker teaches property, legal theory and Aboriginal law/Indigenous legal traditions, with research interests extending also to evidence, dispute resolution, resource management and legal education. Her book Declarations of Interdependence: A Legal Pluralist Approach to Indigenous Rights explores various aspects of claiming Native (Aboriginal) Title as a way to inspire a re-imagination of law. 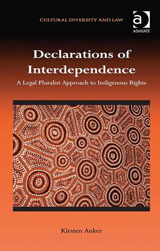 She has written widely on the challenge to orthodox understandings of law and sovereignty posed by the recognition in Australia and Canada that Indigenous law “intersects” or co-exists with state law, and draws on studies in legal theory, anthropology, Indigenous and occidental philosophy, translation and language. Current projects include work on Indigenous legal traditions in formal legal education, non-static digital mapping in land claims, the privatisation of Indigenous consultation, and ecological jurisprudence. "Symptoms of Sovereignty? Apologies, Indigenous Rights and Reconciliation in Australia and Canada" in Peer Zumbansen and Ruth Buchanen (eds), Law in Transition: Human Rights, Development and Transitional Justice (Oxford: Hart Publishing, 2014). "The Promise of Encounter: Recent Research in 'Native Studies' from University of British Columbia Press" (2009) 43 Journal of Canadian Studies 222.
" takes up the postcolonial challenge for law and explains how the problems of recognition are tied to an orthodox theory of law. Constructing a theory of legal pluralism that is both critical of law's epistemological and ontological presuppositions, as well as discursive in engaging a dialogue between legal traditions, Anker focuses on prominent aspects of legal discourse and process such as..."